On Monday and Tuesday this week, Dr. Lutzer and the Songs in the Night crew recorded the next batch of radio programs. Over two days the team completed over 90 radio programs which will begin airing in January and will continue through the end of 2016. 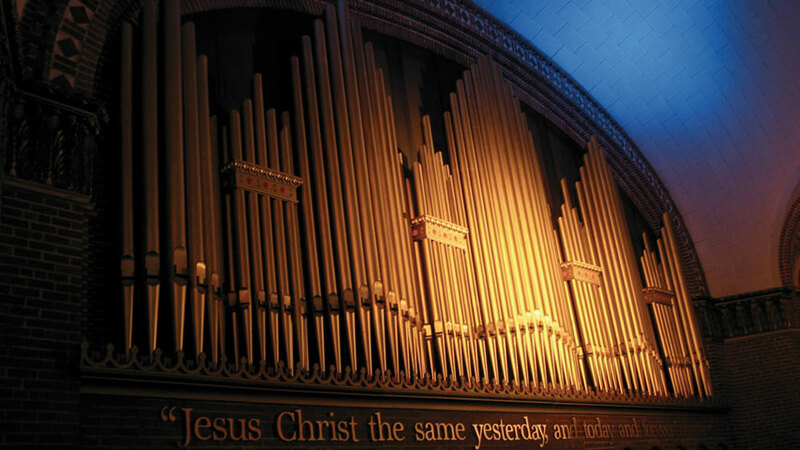 During the recording session, The Moody Church’s sanctuary is filled with the sound of the pipe organ played by John Innes. Above is a video of John playing the Songs in the Night theme song. 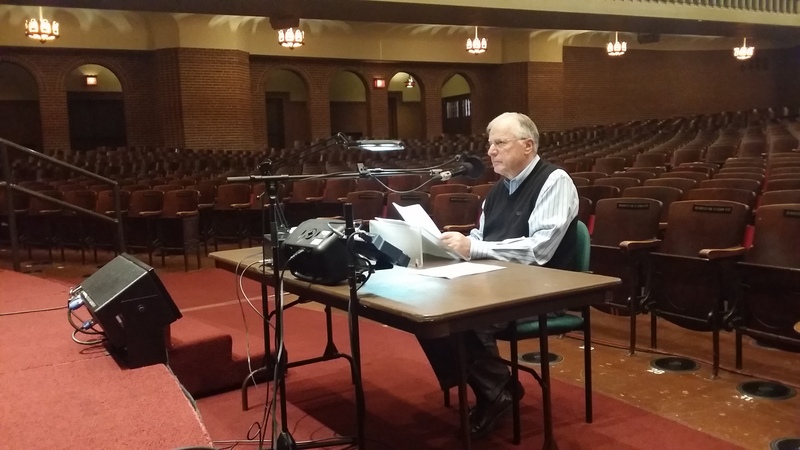 The recording process begins with Dr. Lutzer’s Sunday morning sermons. When a series of sermons is completed, the best portions are selected—along with accompanying music—for the recording session. Our producer, Dave McCallister, assembles the scripts and sends them out for everyone to prepare. Then we all get together for the recording session. Each recording session lasts for a few days and produces anywhere from fifty to one hundred programs. 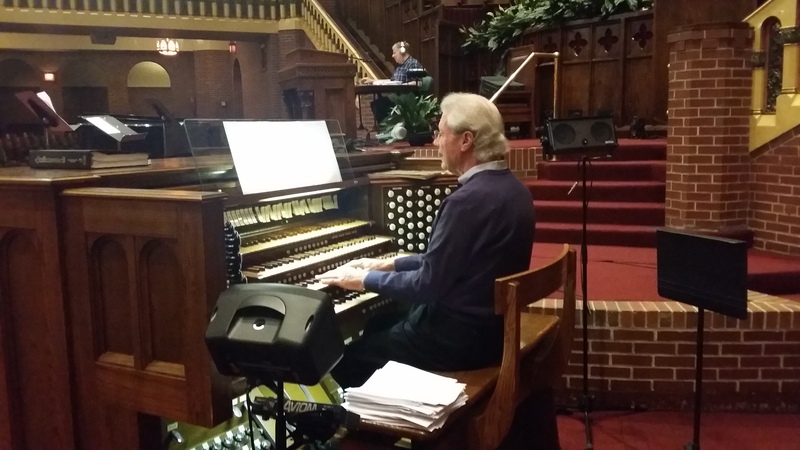 It is a wonderful experience to sit in the back of the sanctuary at The Moody Church and hear Dr. Lutzer share his heart as John Innes plays the organ in the background. This past recording session included sermons on the return of Christ, God’s glory, the parables, 1 Peter, and much more. In addition to the 15+ series that were recorded, many special programs for Easter, Thanksgiving, and Christmas also found their way in. If you are a fan of Songs in the Night, the next two years of programming contain some of our best programs yet. When the Songs in the Night family gets together, it is always an enjoyable time of laughter and worship. We hope the programs will be as much of a blessing to you when you listen as they were for us to record.